Mission: Fullscript is the easiest way for practitioners to recommend professional-grade supplements to their patients. It’s safe, simple, and free. Fullscript Founder Kyle Braatz named Canada's Top 40 under 40 for 2018. After seven years of exponential growth, Ottawa's Fullscript says a merger with a U.S.-based competitor is just what the doctor ordered to ensure its future success. The local health technology firm - which topped OBJ's list of fastest-growing companies in 2016 and 2017 - announced this month it is combining operations with Arizona-based competitor Natural Partners. Fullscript – Why Work For Us? With the dream of building her own small private practice right out of Naturopathic Medical school, Dr. Alanna Dyment was eager to get started on the logistics and planning involved in getting her business up and running. When developing her business plan, Alanna discovered the challenges of building her own supplement dispensary – especially the huge investment required to stock inventory, and the on-going costs of replacing expired products. She also factored in the time it would take to set up accounts with suppliers and manage restocking and pricing her inventory. The effort and investment required to manage an in-house dispensary seemed wasteful and inefficient. She was determined to find a better way to dispense. Alanna shared her problem with her husband, Brad Dyment, and his business partner and close friend, Kyle Braatz. Kyle and Brad had a history of building successful business and non-profit ventures together, and they were eager for a new challenge with a meaty business problem and a worthwhile cause. After an evening of brainstorming at their kitchen table, Alanna, Brad, and Kyle came up with a simple solution: a Direct to Patient Model that would change supplement dispensing forever. With Alanna as their first medical advisor, Kyle and Brad set out to build a business that would connect suppliers, practitioners, and patients together in one place and platform. In order to turn their idea into a full scale dispensing platform that could assist practitioners across North America, Brad and Kyle brought in Chris Wise, who would help build the technical foundations of their new business. The three launched NDStorefront as the very first version of the company that would later become Fullscript. Though our name and look has evolved, since day 1, our team has been obsessed with creating simple software that focuses on the best supplement dispensing experience for our practitioners and their patients. By designing seamless software in-house, providing the best customer support in the industry, and bridging (but never replacing) supplier to practitioner relationships, we’re able to provide a quality practice tool that is truly changing the way health and wellness is prescribed. We believe in integrative healthcare, and we admire the practitioners who provide this type of care. We also know that practicing integrative healthcare is not easy. Managing a dispensary and ensuring compliance to supplement recommendations can be a drain on time and resources. Fullscript’s mission is to take the hassle out of integrative healthcare by making supplementation seamless and easy for practitioners and their patients. We’re making strides on this mission every day, with every new practitioner we bring on board. Fullscript’s mission is to change the way health and wellness is prescribed by working with cutting edge practitioners, quality-focused suppliers, and patients who refuse to accept the way conventional medicine is prescribed. We are a technology company leveraging the best fulfilment network in the market to create an ecosystem that consists of top practitioners, their patients, and all of the brands they love. Wonderful place to work with friendly, hardworking people who support each other! I applied through an employee referral. The process took 2 weeks. I interviewed at Fullscript (Ottawa, ON) in July-2017. 1. 40 minute conference call with developers. 2. 40 minute conference call with co founders. The interviews were very conversational in nature. A bunch of technical questions but nothing that was designed to trick me. It felt very much like geeking out with some peers at a meet-up. 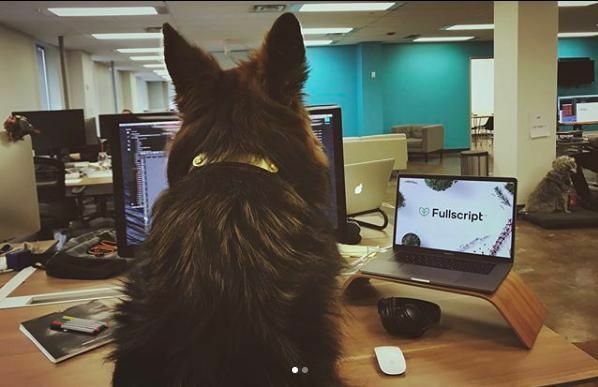 Glassdoor gives you an inside look at what it's like to work at Fullscript, including salaries, reviews, office photos, and more. This is the Fullscript company profile. All content is posted anonymously by employees working at Fullscript.